As April comes to a close we look forward to those May flowers, dancing around the Maypole and the much anticipated Mayviation here at GrogHeads. In the meantime, we bring you another installment of your favorite bi-weekly wallet emptying column. In addition the game has a number events and “seditious characters” that take away support from their respective leaders. In so doing, they undermine the North’s and South’s ability to wage an effective war. Combat is modeled within the game but as an extension of the game’s other elements. Everything from Indian and draft uprisings to commerce raiding is modeled. The game is played over seven turns, spanning the entire war. Each turn is made up of the following phases: Initiative, Naval, Operations, Supply, and Timekeeping. The Initiative phase covers planning, reinforcements, gaining support and purchasing assets. During the Naval phase players move fleets in oceans and rivers, while conducting raids and blockades. 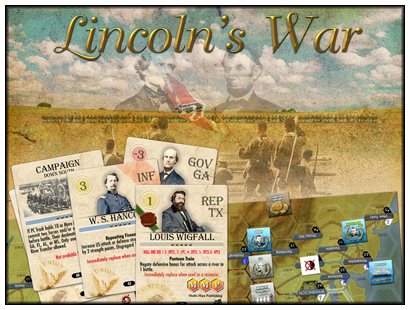 The main thrust of the game occurs during the Operations phase where players use cards “as political advice to hamper the enemy, bank political good will, goad their generals into moving, conduct combat or stiffen the defense of generals under attack.” The final two phases, Supply and Timekeeping, are just as they sound and round out each turn. The game certainly seems to have a unique look at one of America’s defining moments. To see more about the game, including game art and the game board, make sure to check out the projects Kickstarter page. I think it is fairly clear from the pledge numbers above that this project has been an unmitigated success. Apparently there is a huge demand for miniature dungeon tile sets for all those RPGers and minis gamers out there. Too bad we didn’t think of it first; hats off to Dwarven Forge for an excellent product idea. 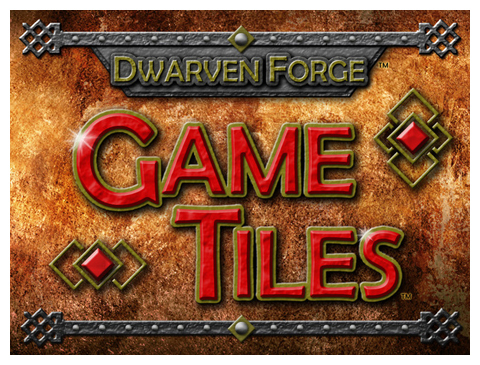 Dwarven Forge is already well known in minis and RPG circles for the miniature terrain and with their game tiles they have continued with this tradition. The project its self is fairly self-explanatory. Depending on your pledge level you receive wall and floor tiles to make a myriad of different dungeon layouts. The more money you pledge the more tiles you receive and the greater the variety that is included. Some of the higher pledge levels even send the tiles out hand painted. Beyond just the floor and wall tiles, this project also includes dungeon details such as barrels, columns, doors, and other standard dungeon detail pieces. All the items produced for this project are in 25mm scale with one inch grids on the floor tiles that are perfect for D&D and many other RPGs. The pieces, “made from a dense, incredibly strong, color-infused compound, Game Tiles are nearly indestructible and remarkably affordable.” These game tiles are made to stand the test of time and continual use on your gaming table. To see what all the fuss is about and part with some of your hard-earned cash head over to their project page. •	Eight fully developed, unique factions with different histories, tactics, play styles, weapons systems, and units. Fight for the advanced Earth Alliance, the feudalistic Hegemony, the hyper-corporate Terran Confederation, and many more. •	Ten to twelve capital ships per faction, ranging from frigates to battleships and carriers, each with their individual roles, purposes, and strengths. •	Four to six diverse strike craft, fighters, and bombers per faction. •	Mechanics for 3D movement and tracking. •	A fully-developed inertia system. •	A long-term campaign system requiring a game master, currently in development. •	Dozens of possible upgrades to customize ships and performance in battle. 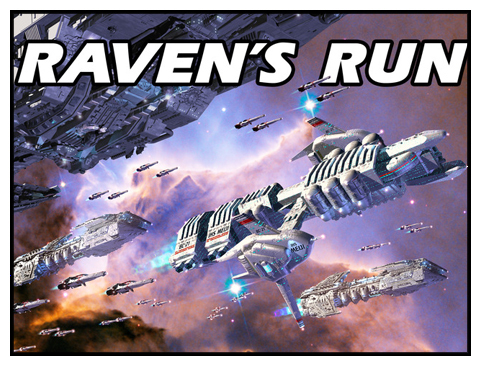 •	Space combat with weapons ranging from beam lasers, auto cannons, rail guns, and missiles. •	Combat mechanics supporting up to twenty individual combat units of capital ships on the board per player. Dungeon crawling purists may want to avert their eyes. 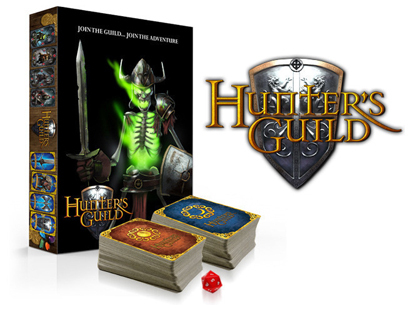 Hunter’s Guild is a “fast paced, easy to learn dungeon crawler style card game without the need of hit markers, pens or paper to slow down the action.” Kind of sounds like a dig at pen and paper RPGs but I don’t think it was meant that way, as this game is only supposed to take 30-60mins to play, where as a traditional RPG could take … well you get the drift. The game is simple not only in its gameplay but also in its components. The game contains “100 Day Deck Cards, 100 Night Deck Cards, 20-Sided Die & Color Rule Book.” The premise of the game is also quite simple. You and your friends are Hunters seeking the usual riches, glory, etc. There is the powerful vampire who is causing trouble by waking the undead and whatnot. See where this is going? So, now it is up to you and your friends to fight off the vampire’s minions, get great loot, and find ancient relics. Sounds fairly standard, right? Oh, I may have failed to mention the part where the vampire lord can infect the players and then add them to his posse. Don’t get bit and you’ll be fine. Game play, as stated previously, is simplified due to damage, health, and inventory. All are calculated with cards that are laid down in front of the players. Characters and armor cards all keep track of damage by rotating the cards around depending on their health. Weapons all display what damage they deal on the face of the card. Any other special cards have instructions printed on them that relate to the many monsters that they help combat. The project’s page has lots of card art for you to check out as well as a link to the game’s rules. 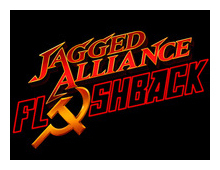 Jagged Alliance: Flashback (JA: Flashback) is positioned not as a “reboot” of the classic tactical-based franchise but a total “reset”…a game for “thinking men with guns.” That should get the attention of a lot of you. Rest assured this new iteration of the series still focuses on small squad mercenary operations, with the game split into tactical and strategic layers. In the updates already released, the developers have given descriptions of these layers, the combat and the destructible environments. Developer Full Control are clearly excited on all the new features they are working on. These include a fully developed, tactical/turn-based single player campaign, a system of cover between squads, elements of role-playing with NPCs in order to collect intelligence, new weapon designs, customizable mercenary troops, and base management. JA: Flashback will do just that: flashback the player to the mid-1980s. After getting the player to sing a rousing rendition of I Ran by Flock of Seagulls and put on a turquoise t-shirt and white blazer, the game will also place the player on the fictitious Caribbean Island of San Christobal, which has just been overrun by socialists who have invited a Soviet military presence, Grenada-style. Of course it would be madness to allow this festival of communism to stand, and the player is drafted by the CIA to lead a team of mercenaries and remove the communist menace. It is in this struggle that the game will shine, with the player controlling their troops’ gear, explore and fight across San Christobal through a fog of war, use cover intelligently, and keep their troops alive for the next mission. If you’ve never seen Clint Eastwood’s Heartbreak Ridge, now is the time before JA: Flashback is released. 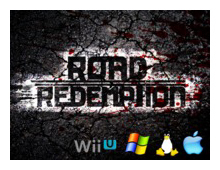 "Road Redemption takes the motorcycle combat-racing gameplay, pioneered by the Road Rash series, to the next level.” Is there a commuter out there who would not want to play this? Road Redemption will be based on the gameplay of the Road Rash series, and has been in development in one phase or another for over four years. This new iteration of the ‘motorcycle combat sim’ (that was awesome fun to type) will feature destructible environments, zesty AI, ragdoll physics and multiplayer support to the game. And beyond that, if by some chance you are not sold yet, check out some of the screen shots for the game…they make the game appear to be both exhilarating and hilarious at the same time. Developer Dark Seas Games also promises that Road Redemption has been designed from the beginning for play on a PC with a mouse and keyboard, a refreshing statement when crappy console ports are more and more pervasive. The actual gameplay does include firearms, but these are scarce in the game world and melee weapons like swords, chains, pipes, and hammers are much more common. Think of the combat in Road Redemption to be similar to horse-mounted cavalry combat of an earlier era, at a much higher speed! The game takes place in the American southwest, and the player takes on the role of a recently paroled felon who returns to his motorcycle gang. Being fresh from the hokey, the player has to work his way through the ranks again in different missions as the gang itself splits into factions, which can eventually be led by the player. Mission types include combat racing, police escape, assassination, convoy assaults and ambushes, among others. You know, everything you would generally encounter in an hour’s commute home from work. Fan created missions will also be supported as the community suggests them. Most of the single player missions and maps will be available for play in multiplayer as well, with leaderboards and the encouragement of online “gang” formation…be your very own Jax Teller! Road Redemption is being built on the Unity 4 engine and is looking well fleshed out with a request for further support on Steam’s Project Greenlight. The team assembled for this game has some strong titles under their collective belts for both consoles and PCs, including the God of War series, Commandos 3, and Tabula Rasa. With a great combination of old school jousting, high speed action, team (gang) building and exciting missions, Road Redemption is set to skid onto our PCs in July 2014. Among the Sleep is a first-person horror adventure game that places the player in the booties of a two year old child. You know this game is going to be twisted. Being a two year old naturally limits your combat options. Much like the Amnesia games, there is no combat in Among the Sleep…the only thing the player can do is out think and hide from conflict. The main focus of the game will be on exploration and scaring the poop out of players. The screenshots attest to this, as they are all very stylized and look very similar to the horror that I remember being involved with as two year old…stark shadows, eerie lighting, and giant-sized furniture. As a two year old you will also get to interact with the environment on a basic level, pushing, pulling and holding items that may or may not be useful in your quest to find your parents. Things like staircases can also be assembled from smaller objects to help you continue on your journey. 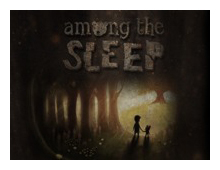 The game is estimated to be about four hours long and the Kickstarter campaign was begun so the developer could quit their crappy part time jobs to work on Among the Sleep full time…always a noble goal. An actual release date of when Among the Sleep will crawl onto our hard drives has not been revealed yet. And with that our 17th edition of GARPA crawls to a halt. Check back in a fortnight for the latest updates we’ll have in the next installment.